Microdermabrasion is a cosmetic procedure similar to sanding wood. However, the technique entails using tiny crystals. A special machine called microdermabrasion machine is used for spraying these fine crystals. These crystals, when rubbed on the skin, peel away dirt and dead cells. The mildly abrasive action results in increased flow of blood to the region, which in turn results in the skin being repaired and rejuvenated.You can read my earlier post on what microdermabrasion does here. However, it is necessary to understand microdermabrasion benefits and effects, before opting for this procedure as it may not suit everybody and at times there may be simpler alternatives available. Basically, our skin consists of three layers, i.e., epidermis, dermis, and the subcutaneous tissue. The epidermis is that part which is visible to us. The tissue contains fibroblasts, which are special cells, responsible for producing collagen as well as other fibers. Collagen, in particular, is important for the skin as it forms a type of scaffolding that gives the skin its firmness.Similarly, fibroblasts produce both elastic and reticular fibers for that scaffolding. The skin receives its share of oxygen, nutrients, and moisture from blood vessels, more specifically, capillaries. With age, this circulatory system starts failing, and dead cells on the epidermis compound the problem by becoming an obstruction for new fibroblasts fail to live the healthy life. Dirt and grime on the skin also result in similar problems with the skin. They prevent the skin from getting the required level of moisture and oxygen. Skin needs oxygen for healing as well as decreasing any free radicals in there. Skin also gets damaged because of the sun’s ultraviolet rays.And this is why you need to understand what you should know about microdermabrasion, what it does and how it works. Microdermabrasion’s main job is to remove any dead cells or dirt obstructing the fibroblasts. Improvement in circulation to the skin’s dermis layer by causing mild inflammation due to microdermabrasion is its secondary function. Time taken to recover from skin inflammation is much shorter. There are few adverse reactions and side effects from this procedure that cause serious concern. It is suitable for removing age spots and brown spots on the skin, apart from making the face brighter,fresher looking and younger with less wrinkles visible. marks.Sorry to say this but if anyone tells you microdermabrasion will remove your stretch marks, they are not being honest or don`t know what they are talking about. It removes age spots, brown spots, and in general removing dullness of the skin. It does lead to some dryness of skin for a day or two but moisturizer and a good sunscreen are enough to combat that stretched feeling. Though microdermabrasion is an affordable option and often suggested for removing aging signs, it does little to remove stretch marks. Nevertheless, it does have many benefits and since it is suitable for every type of skin, many people find it to be an effective procedure for removing some of the aging signs. The good news is you can buy and use Microdermabrasion in the comfort of your home, Amazon has a selection to chose from and with up to 3 years warranty your money is safe.Click here to shop at Amazon. I hope my post helped you understand more about What you should know about microdermabrasion and to decide if it`s for you to try.Have any questions leave me a message below, will sure get back to you. 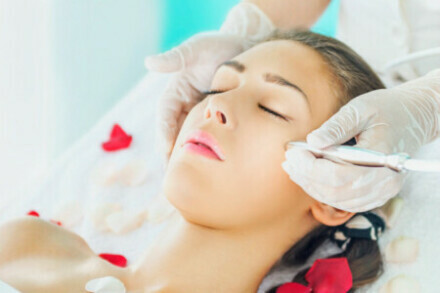 Microdermabrasion Benefits And Effects Benefits Of At Home Microdermabrasion Microdermabrasion Facial Treatment Benefits[That Your Beautician Knows] What Does Microdermabrasion Do For your Skin? Wow never heard of this machine, but the Microdernbrasion does seem to have a lot of benefits. As a man, I actually do like to take care of my skin, specially my face, I want the wrinkles to come as later as possible haha does this help preventing wrinkles? and also is this a unisex machine or just for women? Hi there Microdernbrasion works for men and women alike.To reduce pre mature wrinkles,you have to do more than microdermabrasion.You need to live healthy, this makes all the difference. Great explanation! I definitely have a better understanding of the whole process now! Do you happen to know if there is a difference in the effectiveness and quality of the treatment between having it professionally done and doing it yourself at home with this machine? Is this better than using a microdermabraision cream or facewash? 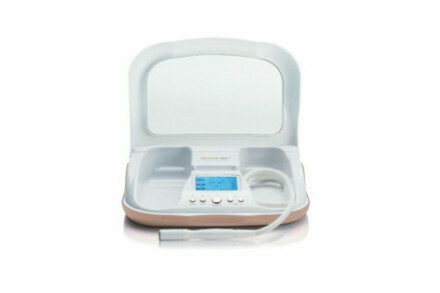 There is really no difference in having microdermabrasion professionally done or at home apart from the prize really. Salons will tell you otherwise which is understandable as they want to make money, but done at home or at the salon,the effectiveness is the same. I will be the first to admit that I have never seen or heard of this little device before. But after reading this post. I feel like I am missing out on so much. My wife would love this. Especially for the wrinkle aiding part in particular. I will be sure to share and book mark you site. Thank you and have a nice day. Thanks for stopping by James, at home microdermabrasion devices are affordable and will save your wife a fortune in fighting wrinkles. I’ve tried so many microdermabrasion techniques, to no avail. First, I started with actually going to salons: didn’t change anything to my acne, for a complete year. Then I decided to stop wasting so much money on salon and do an at home system: I used the PMD for more than a year, and no change in my acne and the smoothness of my skin. Then I used a dermaroller: it was quite painful at first, but my skin got used to it. Unfortunately, no progress with that too. 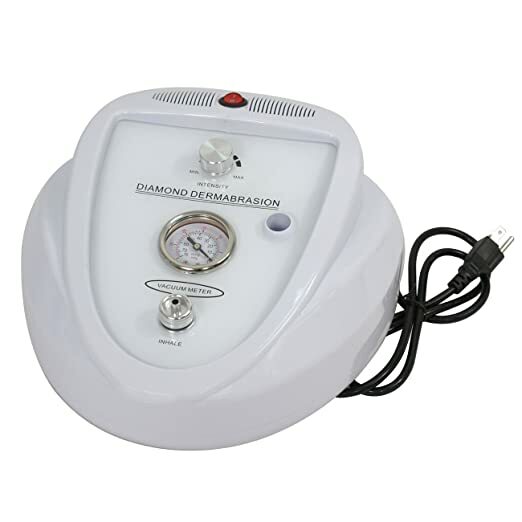 Do you think it’s worth it for me to actually try this Diamond Microdermabrasion? Are you sure you did things right?microdermabrasion usually get you results.What more have you done to reduce your acne apart from Microdermabrasion? My aunt was thinking about getting microdermabrasion. Since I don’t know much about this beauty procedure, this was helpful. I didn’t know that it helps your skin breathe better. Thanks for stopping by, glad you found the post useful, if you have any questions about microdermabrasion, just leave me a message. I thought it was really interesting that this helps to improve skin’s firmness and smoothness. My friend has been looking for different ways to get this result without a whole lot of success. I think that this is definitely something that she should look into since it has so many other great benefits. Thanks for stopping by, many people do have skin issues, aging, wrinkles, fine lines or sun damage.Microdermabrasion is my number one choice to dealing with skin issues as it does not interfere with the inner skin.Hope your friend will have better results with microdermabrasion.